Ordered on 17 apr and arrived on 20 apr even though it’s weekend! Item was protected very well too! Highly recommended! fast delivery. Have not tried product. Item well received with thanks. Delivery was fast. Yet to use this product and hopes it really works for me. Hi, will you be restocking restorative mask 250ml and treatment oil original 100ml soon? Could you pls send the goods ? I have send 3 requests to you. Hi seller, any chance that I will be getting my items soon... I haven't lost hope. I should have enquired with Qoo10 customer within 7 days of receiving the wella sp oil to let them know that the other 2 products have not arrived. You did not reply to my private mail to you in Qbox when I informed that the other products were not received and I was under the impression that they might arrive in a shipment that will take a longer time. Now that customer service replied that I have to inform within 7 days. I can only check with you. Please do not let me lose hope. I really do not want to believe that you are an unscrupulous seller... Integrity please. Where is that value? Buyers BEWARE. Items bought 2 months ago which cost a total of $80+ undelivered. Seller did not respond to inquiries in private mail in Qbox. I have posted an inquiry on 8 Feb here on Q&A and received no reply too. I have order Wella SP and 2 other Moroccan oil products. Only Wella SP Lux oil was delivered. The status for all 3 items were automatically changed to Delivered with the signature I placed for receiving that single item from them. I have ordered Moroccanoil conditioner and intense curl cream in late December 2018. Have yet to receive the two items. Wrote in Qbox to seller two weeks ago but have yet to receive a reply. Please advise. Hi, I like o check when is the stock availability for original treatment oil? Thank you. 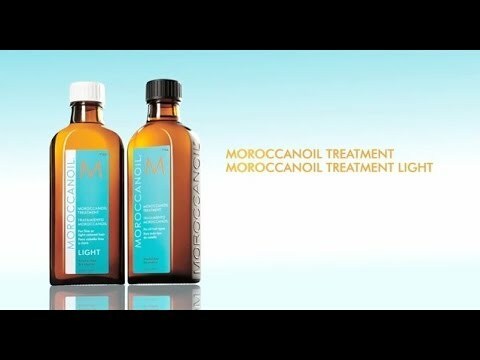 ❤ 10ml + 10ml ❤ MOROCCANOIL Original/Light Hair Treatment Oil. Travel size! Paul Mitchell professional tea tree system hair care and scalp care/body care ★QOO10 lowest price! !